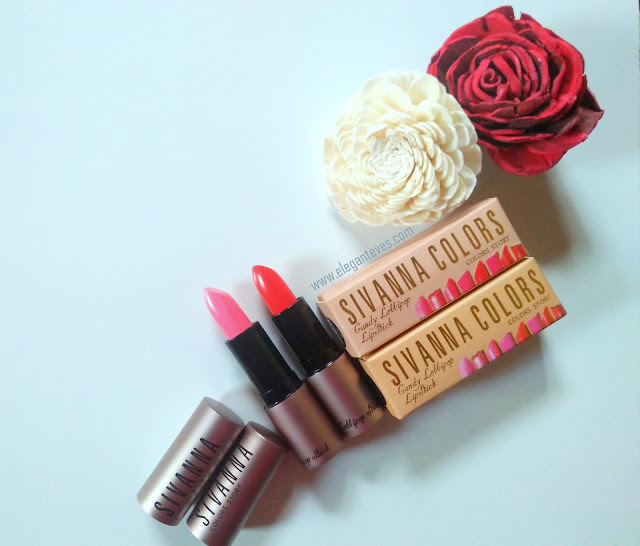 I had already reviewed another shade from the Sivanna Colors Candy Lollipop Lipstick range earlier. It was shade number 19 which was a peachy beige shade. I had discussed in that post how we could make a shade like that work for us instead of washing us out (Read about the lipstick hack and full review HERE). Today I am back with two more shades from the same range. 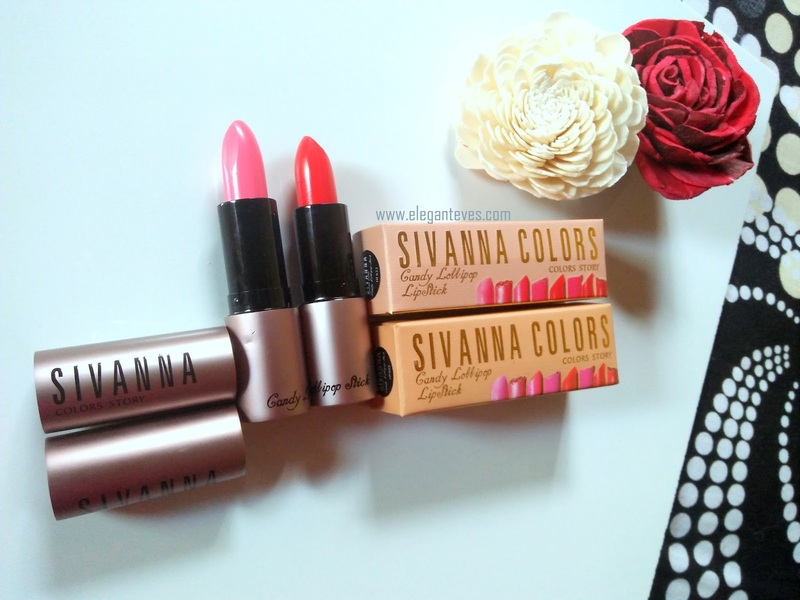 Let’s see if these budget lipsticks by Sivanna Colors are actually worth buying. It’s a metallic lavender tube with a click lock cap and it is housed in a carton box. The shade number is printed on the bottom of the bullet. There are no shade names. Shade no. 03 is a bubblegum pink which would sadly suit only porcelain skintones. 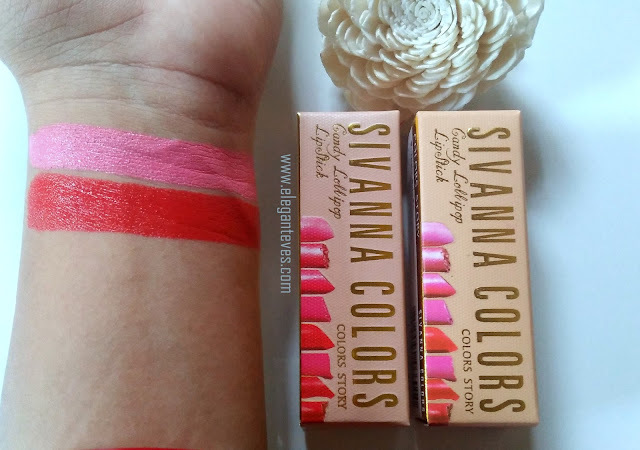 I do not understand this obsession with bubble-gummy pinks by Sivanna :P I would really appreciate better wearable pinks from this brand. Fortunately, shade no. 11 is a truly beautiful warm red. This shade would suit across all complexions. I make shade 03 work for me by mixing a little bit of red tint with it from the other shade. The texture is creamy and pigmentation is very good. 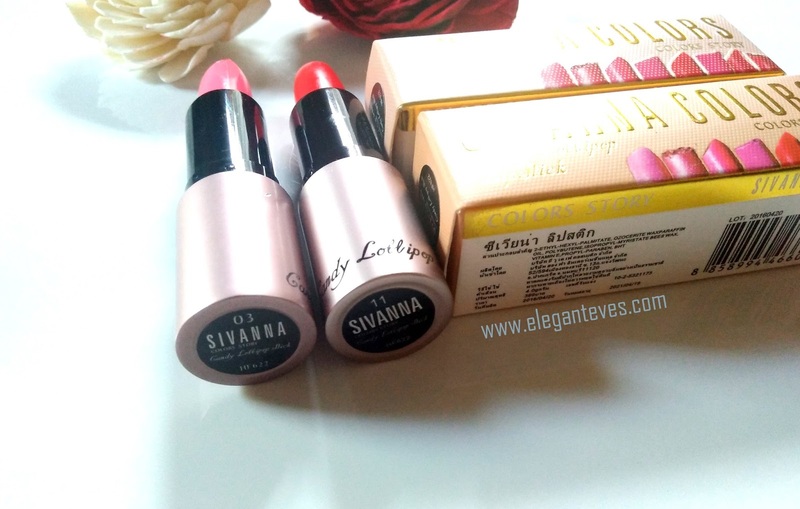 It is much better than the Sivanna and Gina Glam lipstick crayons which I reviewed few days back (Check HERE) Post application this lipstick settles to a satin finish and is comfortable on lips. Stays for around 4-5 hours and does not settle in lines. However, it is not transfer proof. 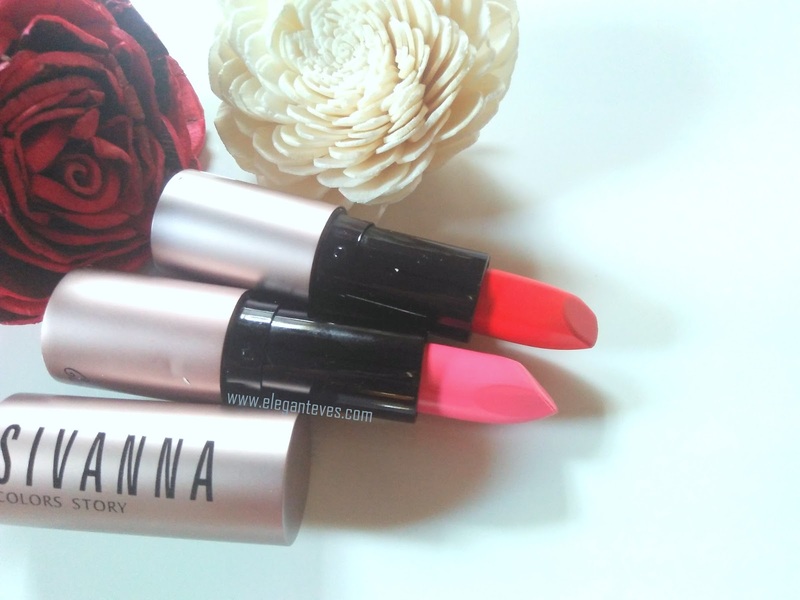 This formula is perfect for a daily lipstick, the kinds which we stuff in our purses for touch-ups. There is no weird smell in the lipsticks as well. 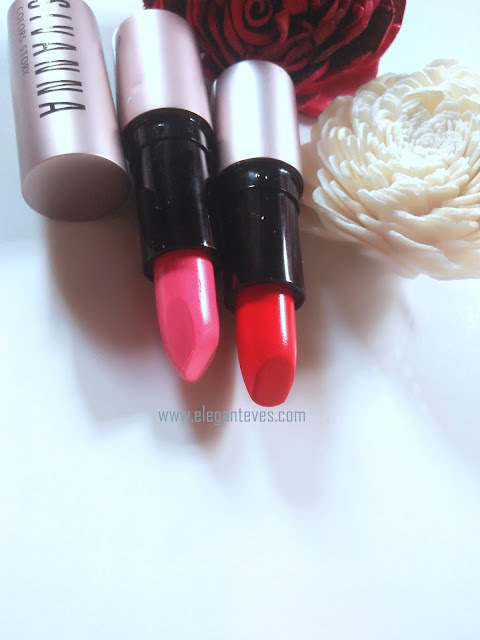 · Inclusion of more shades wearable by Indian skin tones, especially the pinks and corals. The pigmentation is lovely. The red shade looks pretty.